Architect, specialist in Project Management , Knowledge in urban design. I've worked for Colliers International since 2016 as a Support Project Manager. I've been involved in relocation projects for Corporate clients such as: IATA, Microsoft and Mckinsey. Additionally, I´ve done space consultancy and feasibility study for a religious organization. Before I joined Colliers International I executed several construction projects on my own, managing different stakeholders, risk and change. I´ve supervised and inspected architectural and engineering projects such as: residential, offices, comercial and interior design. Contract compliance and follow up. Detailed project planning and control. Managing project deliverable in line with the project plan. Recording and managing project issues and escalating when necessary. Providing regular status reports to the Board. Liaison with, and updates progress to, projects board/senior management. Managing of the partners and working groups engaged in project work. Coordination of work with the contractor, inspectors, contract specialists and others within the Organization of the project. Liaison with all team leaders and/or members to communicate required completion dates and interface between functional team/operational team and project team. Create and organize a data base to control project. Formulation, instrumentation, management, and control of projects. Inspection of architecture and engineering works. 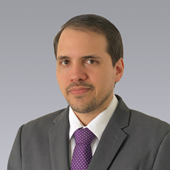 Mathias is the director of the Project Management service line in Panama since 2015. Has been in charge of the continous growth of the department since it started in 2015, and has led important corporate relocation projects like Microsoft and IATA. Mathias graduated from Pontificia Universidad Católica de Chile with a Master in Civil Engineering, specialized in structural design, were he also actively participated in a state funded research project analyzing the seismic risk in the north of Chile and seeking to improve Chilean design codes.